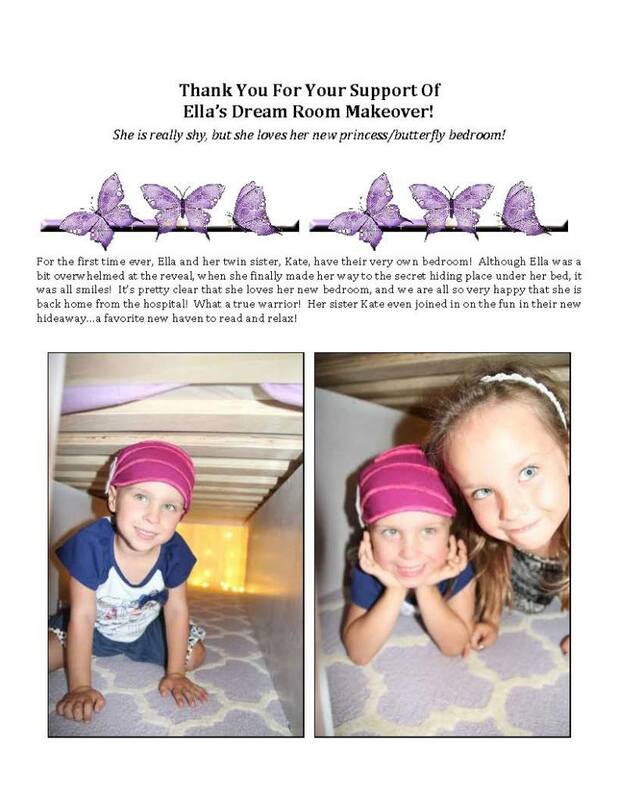 Thank you to Danville Children’s Guild For Sponsoring This Dream Room Makeover For Sweet Ella & Her Sister! What The Danville Children’s Guild Is All About… Putting Smiles on Deserving Children’s Faces! Thank you to The Home Depot For Always Being There For Our Rooms of Hope Kids! Christine, Steve, Adriana, Scott and Team Depot…Thank You!!! The San Ramon Store Rocked It All The Way!!! Thank you to our sponsors and donors: without your generous support, none of this could be possible! Thank you so much!! !